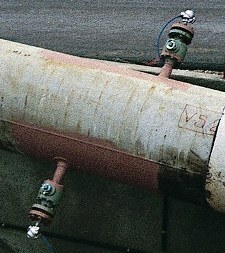 A full pipe (or pressure conduit) is a circular pipe entirely filled with liquid or gas fluid. 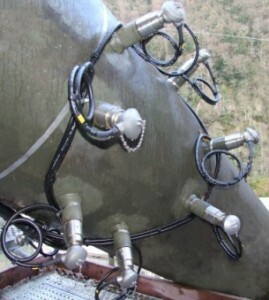 The probes used for taking the measurements can be external (clamp-on) or intrusive. Clamp-on probes are designed for temporary measurements but can also be used for permanent measurements because they are safe and easy to install. Intrusive probes can be divided into two categories: fixed probes, which are installed where there is an absence of pressure, and probes that can be removed under pressure. –> These categories of probes can be used to take mono-chord or multi-chord measurements. 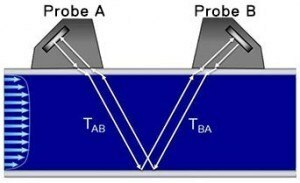 A and B probes are both transmitters and receivers. They alternately transmit to one other. 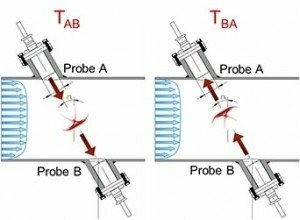 The acoustic signal that spreads through the fluid is collected by the opposite probe. 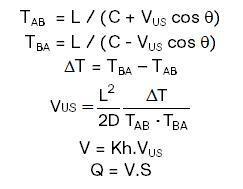 The Upstream/Downstream and Downstream/Upstream propagation times are precisely measured (typically 0.2 ns). 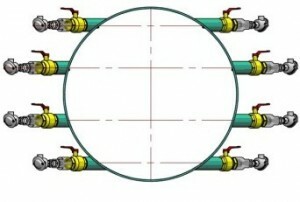 The average speed along the acoustic path can be calculated using these times and the geometric position of the probes. 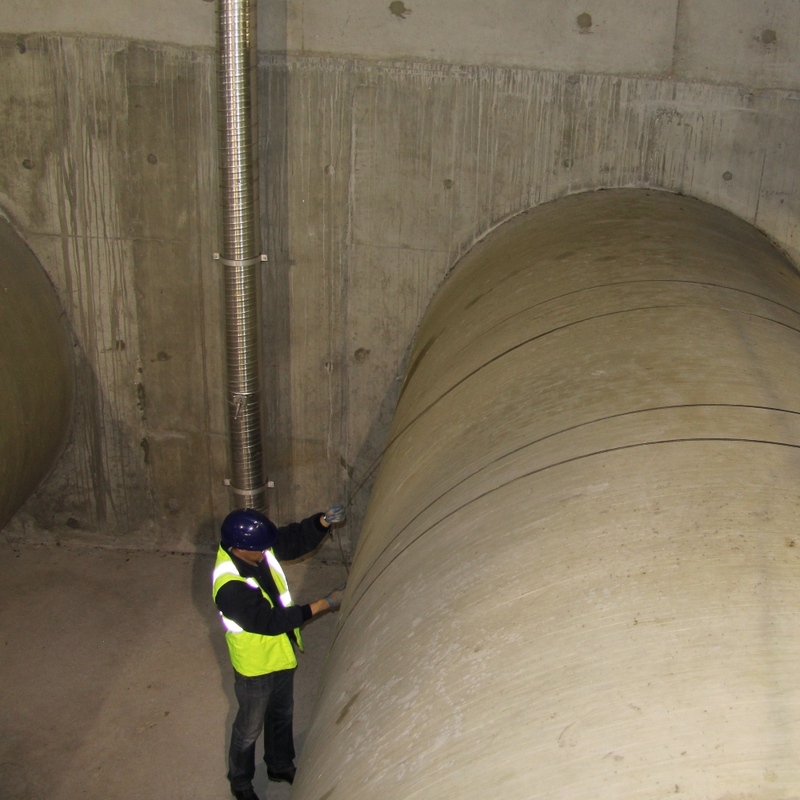 Mono-chord measurements can be used in the assumption that the velocity profile at the measuring point is symmetrical relative to the axis of the pipe. Using multi-chord measurements makes it easier to integrate speed profile irregularities. As such, multi-chord measurements can be used on straight lengths that are shorter than those required for mono-chord measurements. 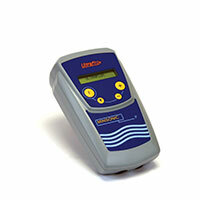 Flow meters for liquids & flow meters for gas.